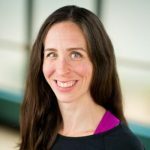 Lauren is a certified GYROTONIC®, GYROKINESIS® and TRX instructor as well as a STOTT PILATES Certified Trainer. Lauren holds a BA, a BFA and an MS from the University of Michigan and is an accomplished dancer. She spent 8 years with the Ann Arbor Ballet Theatre, 5 years in Chicago as a dancer with JHD2, dance teacher for Park Ridge district, at the Joel Hall Dance Center, as a freelance director, choreographer, performer and (in her own words) a theater tech geek! Although she has more than 30 years of dance training to her name, when she’s not dancing or helping clients achieve a greater level of fitness Lauren also finds time to pursue her other interests of geology, science education and playing the cello.